TOUGH TIMES: Sheep search for sustenance on a drought-stricken farm near Steytlerville in the Karoo. Agri Eastern Cape president Doug Stern has called on the province’s farmers to stay on their land despite facing the triple financial threat of unrelenting drought, raging veld fires and land expropriation without compensation. As the drought entered its fifth straight year, Stern said stock farmers’ cashflow had been dealt an additional blow in the form of falling commodity prices due to the recent outbreak of foot and mouth disease. 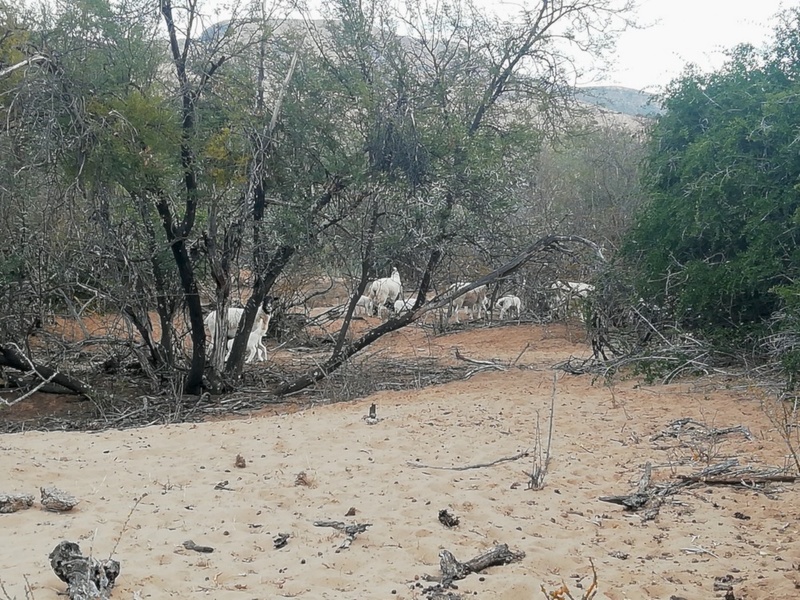 Describing the drought as “one of the worst farmers have had to endure, due to its intensity”, he said summer heatwaves had resulted in the further deterioration of the veld. Stern said, over the past four years, farmers had recorded annual rainfall figures varying between 30 and 70% below what their average annual rainfall should have been. He said agricultural producers’ cashflow had been stretched extremely thin, as they had been spending large sums of money for long periods with the purpose of keeping their animals and lands in a productive condition. “2018 was an incredibly tough year for farmers throughout the Eastern Cape for a number of reasons. Despite this, Stern said he had every confidence that the province’s farmers would survive the drought, as previous generations had done, by standing together and doing their best to remain productive contributors to the South African economy.